QASymphony / Blog / Hot off the press: qTest 7.0 released! Hot off the press: qTest 7.0 released! We are very excited to announce our latest release, qTest 7.0! qTest’s new features are designed to help software testing teams get more efficient and effective. Click here to view a recording of the new features overview webinar. qTest now offers new plugins that integrate seamlessly with Jenkins and Bamboo, helping make your continuous integration process more efficient. When creating builds in Jenkins or Bamboo, your JUnit test results can be sent directly to qTest as test runs and test logs. 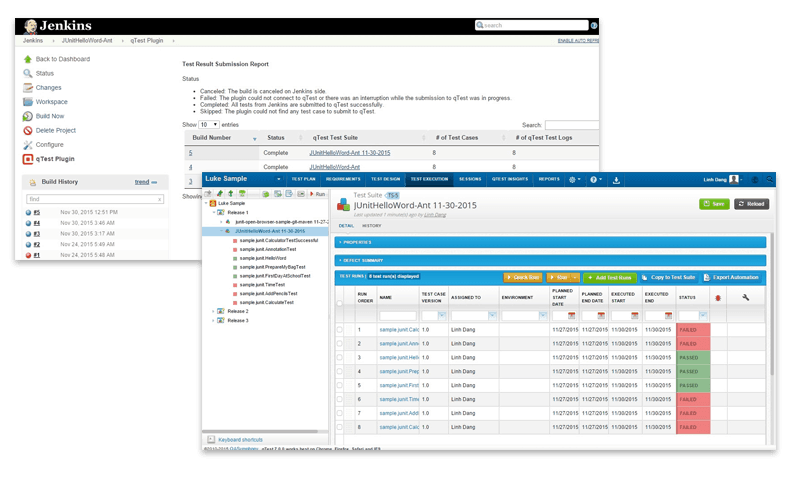 This lets your team review the quality of your build process over time and across different environments, helping you quickly identify problem areas. Need a high-level summary of your testing results across different projects? Constantly clicking back and forth between different applications creates a lot of inefficiency in the development process. 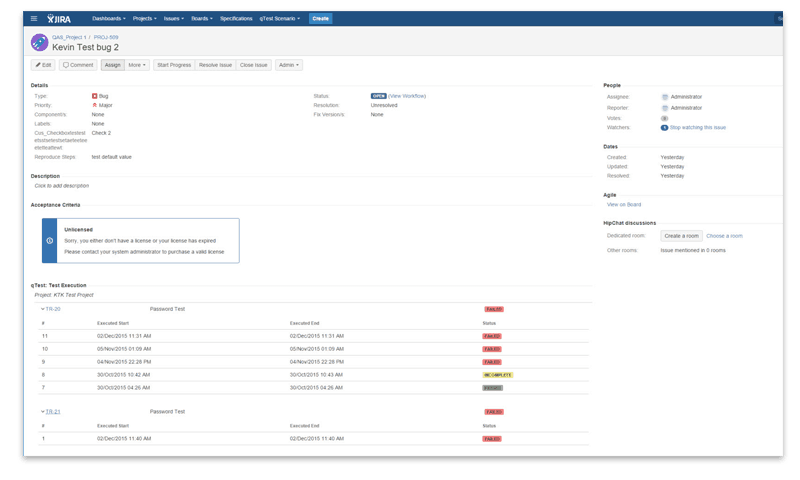 Now qTest gives you a real-time view of all your test execution information right in JIRA, so developers and testers share the same exact information without having to jump into a different application. qTest eXplorer is making exploratory testing even easier. 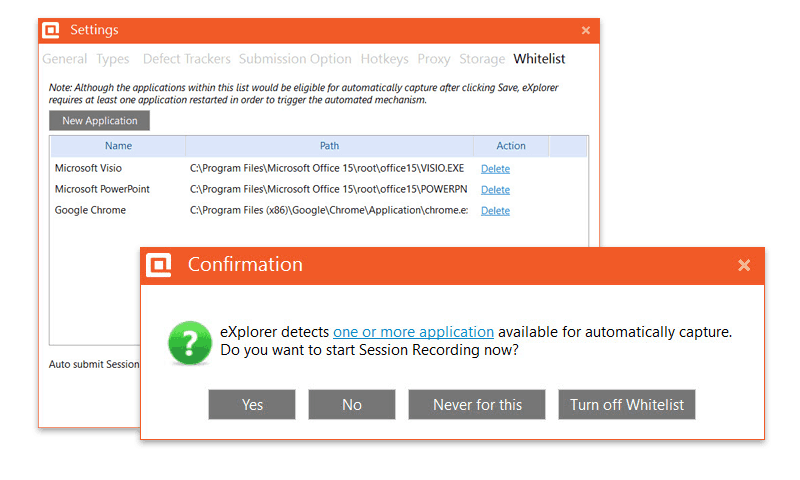 The new “Quick Start” feature automatically starts recording your exploratory testing session when you open frequently tested apps. No need to waste time with the setup process — just open the app and start exploring. For more information on qTest 7.0, check out the release notes on our support community or download the qTest 7.0 brochure.